More than a month back released Sanju still have some potential left and getting a considerable response at the box office despite having several new & existing offerings in parallel. After 5 blockbuster weeks, this biographical is at the third position among top-grossing Hindi films of all time. 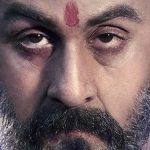 Based on the life of Indian actor Sanjay Dutt, Sanju is directed by the ace filmmaker Rajkumar Hirani and got succeed to impress everyone. In the first week, by remaining super-strong throughout, it did the business of 341.22 crores in last 5 weeks, that included 202.51 crores of the first, 92.67 crores of the second, 31.62 crores of the third, 10.48 crores of the fourth & 3.94 crores of the fifth week. 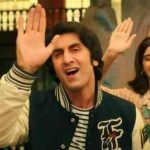 On its 6th Friday, Ranbir Kapoor starrer faced a drop of 41% than the previous day and minted the amount of 0.20 crore. Then on the next day i.e. 6th Saturday, it witnessed a jump of 80% and collected 0.36 crore. With this, the total collection of Sanju after 37 days has become 341.78 crores at the domestic box office. On the other hand, half a month back released Dhadak is also heading on a maintained note despite being affected by the new releases. The official Hindi remake of Marathi blockbuster Sairat opened on an impressive and by remaining solid throughout registered the business of 69.17 crores in last 2 weeks with 51.56 crores in the first & 17.61 crores in the second week. 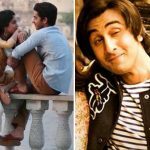 On its 3rd Friday, newcomers Ishaan Khatter & Janhvi Kapoor starrer this romantic drama faced a drop of 60% than the previous day and minted 0.50 crore. On 3rd Saturday, with a jump of 49%, it bagged 0.75 crore and raised its 16 days total collection to 70.42 crores at the domestic box office.